My newest toy is a wireless keyboard and mouse. Big deal, you say. But when attached to my netbook, which is attached to my TV, it means web surfing from the couch in the bonus room instead of the hard, wooden chair in my office. 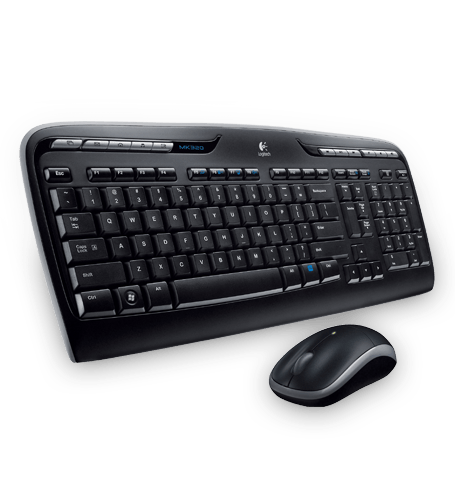 I got the keyboard, a Logitech MK320, on sale at Staples for $17. Being able to surf from the couch means having more video options. For example, I watched a basketball game on ESPN3.com this afternoon, in addition to part of an episode of Blue Blood on CBS.com, news on CNN.com and the updated forecast for Nashville from weather.com. I’ve decided that I really don’t need to get an AppleTV or Roku since my netbook already provides me with the streaming services they feature, in addition to being able to go to places like CBS.com and CNN.com. Facebook video and photos look really good on the TV screen, too. What’s really neat is that the whole thing is portable, so we’ll find out on my next road trip how Netflix fares on motel HDTV and wifi. The end of monthly satellite bills is nigh. Part of my effort to simplify our life is to wean us from satellite TV. As you can see from my previous post, I’ve got over the air TV thanks to my homemade antenna. Tonight I added streaming video from the Internet using a $30 converter I bought from TigerDirect.com. I hooked the converter to my netbook and to our TV in the bonus room. (It also has the over-the-air converter hooked up to it.) 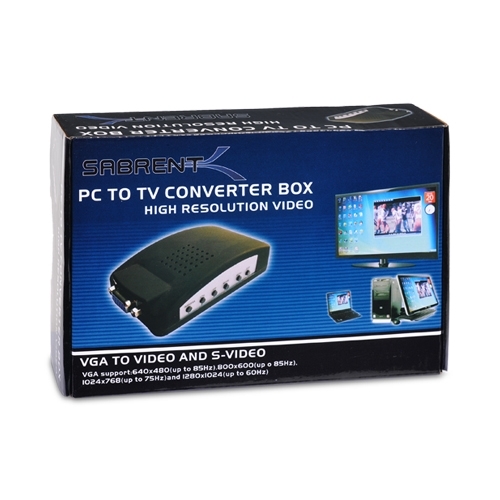 The converter I bought, pictured here, is the Sabrent TV-PC85 model. It’s very simple to set up. It comes with all the cables you need. You run the power cable to a USB port on your computer. And run the monitor cable from your computer to the box. Then run a video cable (either RCA or S-video) from the converter to your TV. Sound isn’t included so you can either use your computer’s speakers or run an RCA cable from your headphone jack to your TV’s audio in ports. Either way it works fine, although audio cables aren’t included. I initially planned to buy an AppleTV to handle this chore. It’s $100 and seems pretty straightforward. But the kid at Electronic Express couldn’t guarantee me that it would work with our router (from the cable company), so I opted to connect my netbook instead. AppleTV, like Roku and other Netflix streaming boxes, require activation and use a special menu to access Netflix and other online services, including renting videos from iTunes. A plus in trying to win Carolyn over to the idea of dropping satellite is that with the AppleTV, she can download a remote app for her iPhone and control the TV from her phone. She’s going out of town this week, so I’ll surprise her with it on the 52-inch TV when she gets home. But for me, I find my netbook has many more options for watching streaming video. For example, I can watch full episodes of many CBS shows from CBS.com. Selecting the full screen mode gives me a clear, crisp picture. While screen resolution is great for video, trying to read web pages on the TV is not so good. At some point I’ll upgrade to a digital TV and won’t need converter boxes. But until then, it’s fun to give 2010 functions to 1990s TV sets.